Based in Aix-en-Provence, The project SECOND NATURE was born in 2007 from the meeting from two cultural identities, Arborescence (Terre Active) Territoires Electroniques (Biomix). The SECOND NATURE is an annual festival and omultidisciplinary cultural project, dedicated to new forms of creativity in the realms of electronic music and digital art. Arborescence and Territoires Electroniques are combining into a new project and festival dedicated to electronic cultures and multimedia arts. 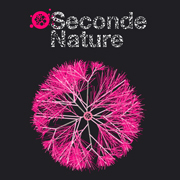 The first edition of SECONDE NATURE will happen from Friday 14th to Saturday 22nd September 2007 in Aix-en-Provence (South of France). A cutting edge artistic program that will invite you at the very heart of some unusual and spectacular venues like the Vasarely Foundation.